Scotland’s unseasonal mood-boosting weather continues, so today I am spoiling you with both a fool-proof seasonal pesto recipe and a Rude Health whole grains giveaway. I hope you like the look and sound of both. And no, I don’t have sunstroke, I’m just feeling a bit generous. Be assured that stingy, recipe-only food to glow returns next time. Despite exercising my little brain I have to confess that the two items in the title don’t really go together. There will be worse culinary mash-ups than pesto and wholegrain breakfast cereal, but nothing conveniently springs to mind. 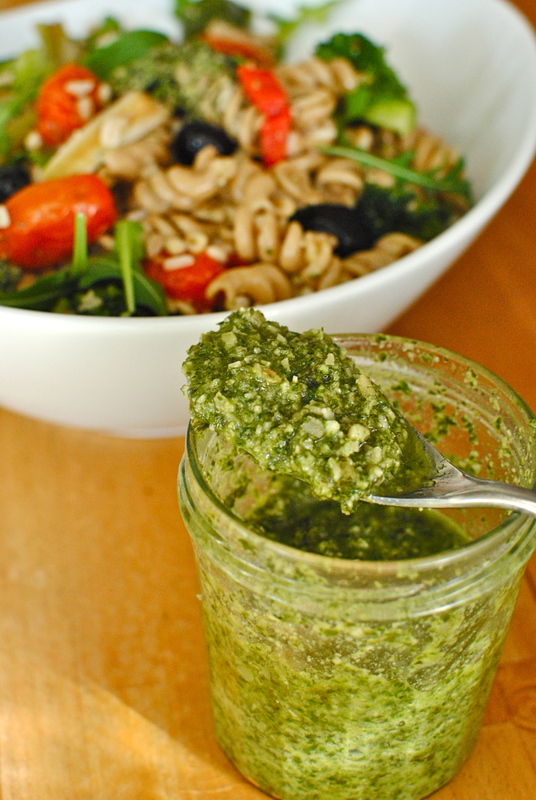 However, to ensure some kind of link, I will say that this homemade pesto and the Rude Health products are both easy and delicious ways to get the whole family eating whole foods. From a health perspective we know that whole foods – that is to say – unrefined and unprocessed, or barely processed, foods – are best. And breakfast cereals and pasta dishes are often good entry points to eating more healthily – quick, thrifty and familiar. Making small changes to the diet, such as by switching from sugar-added and ‘with whole grains’ (or completely refined) cereals, to ones that are naturally sweetened and 100% whole grain is often the easiest sub. It isn’t always the least calorific choice however; nuts, seeds and dried fruits are what we term ‘energy dense’, meaning they have a lot of calories for their size. But we need eat only a few tablespoons of whole grain cereals to feel satisfied, and of course you get all of those lovely nutrients too – B vitamins, iron and fibre. Even more if we top with a portion of fresh fruit. But having the occasional bowl of white pasta or hunk of freshly baked artisan bread is no big deal, especially if you eat a wide variety of fruits and vegetables on a daily basis. 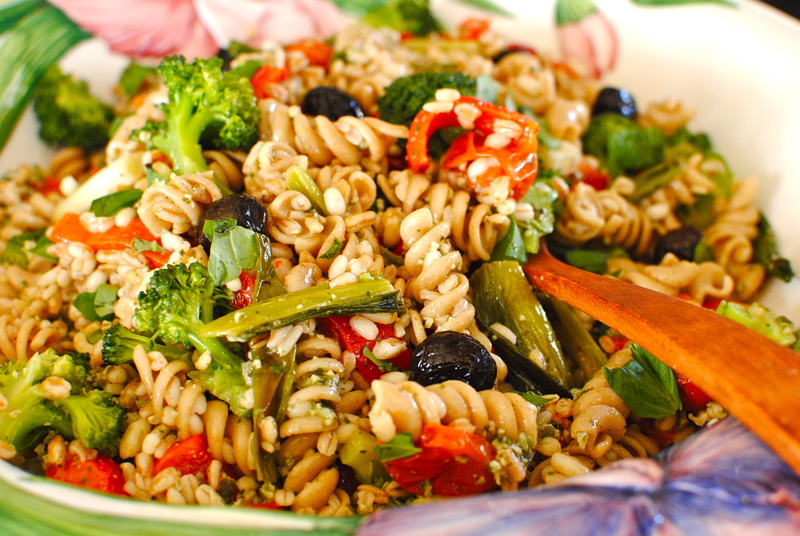 For example, if you have today’s recipe with the full complement of vegetables it would not be a nutritional sin to opt for white pasta. Eating should be enjoyable and not about sticking to a rigid set of rules. In fact, I find that as I’ve got older my gut cannot tolerate a completely whole food diet, so I actually feel better with the occasional portion of white rice instead of always going for whole grain. A healthy diet has room for most things, including good old white bread. But if you do opt for the refined stuff try and get a good quality product, especially with bread as the nutrition levels will probably be higher and the product more digestible overall. Whole foods are not just about grains of course. Apples, green beans, corn on the cob – all of these are whole foods. If we eat them raw, or minimally processed by steaming, lightly sauteing or dehydrating, we get nearly all of the goodness. A processed version of an apple would be apple juice, and even apple sauce – definitely a McDonald’s apple pie. But you can see there are degrees here, so it is not a black and white thing: homemade, un-pasteurised apple juice is nutritionally light years away from said pie. Most healthy diets should include a mix of literally unrefined whole foods, such as tomatoes, bananas and rocket, some foods that are lightly processed like fresh tomato sauce and pesto, and some that we really like to be a bit more processed, such as dark chocolate, whole grain rice cakes and fresh bread. Here’s a short article from webmed on healthy whole foods that might be worth a glance. As this is a healthy recipe type of blog, most of what you see here at food to glow can be classed as whole food recipes. 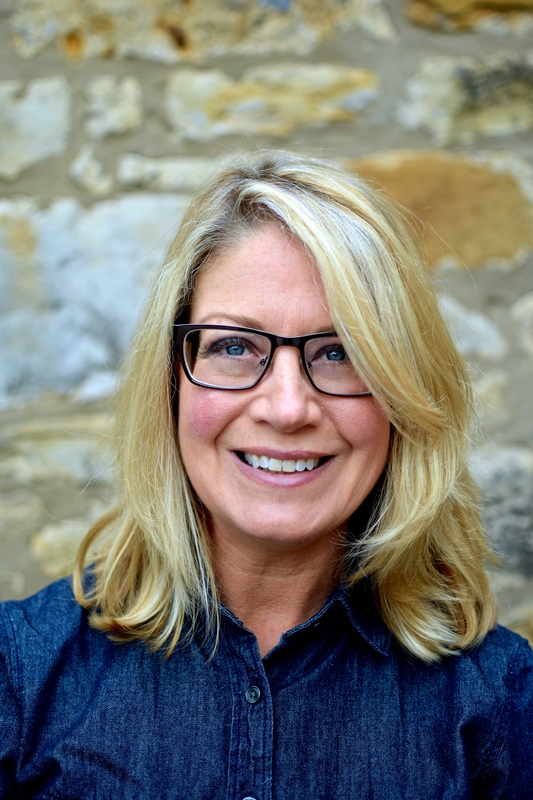 There are exceptions of course – more often than I would care to admit sometimes – but my family and I mainly eat fresh foods that are only lightly messed about with (by me). You probably do too, or do so when you can. For the busy family, with everyone coming and going, pasta of some sort is often the go-to food. Tomato based sauces are great, but this pesto is something I make fairly often as it goes well in so many things: hot pasta and grains (natch), in bread dough, a dod in extra virgin olive oil as a baguette dipper, as a bruschetta topping with tomatoes or fried courgettes, rolled up into thinly sliced, grilled vegetables, mixed into hummus or as the basis of a dip. Lots of other potential uses too. And it is so simple and inexpensive that I like to make a big batch and freeze some for when I’ve not got much in the kitchen. Yep, happens to me too. This cheese-free pesto is super punchy and vibrant on its own with pasta, but even more delicious when accompanied by steamed and lightly roasted vegetables and mixed through pasta and whole grains. A great meal for anyone trying to get in more whole foods. Another thing to help out is of course winning a gorgeous jute bag filled to overflowing with whole grain products from award-winning Rude Health. As you can see from the picture you not only get full size packs of their breakfast cereals but also two cute bamboo bowls to eat them from. And, packs of their gorgeous – and I do mean gorgeous – thins. The multigrain thins are my favourite. All you need to do to win is to write in – or tweet – the answer to this question: How many ingredients are in the Rude Health ‘Ultimate Muesli’? Hint: the answer is on their website. A winner will be randomly selected on Thursday, the 5th of April. Only one comment per person will count. And because this is so darn heavy and big I’m afraid it is for my UK readers only. More widely available giveaway next time. Promise. Rachel’s Cooking Track of the Week: That Dangerous Age from Paul Weller (the Modfather meets Blur and Bowie) – caution: a bit of swearing from commenters! 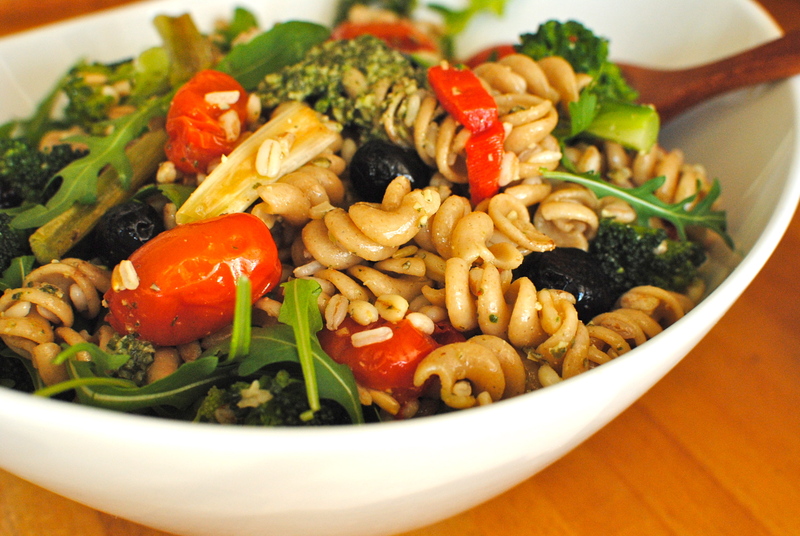 This is a super-easy, uber-nutritious mid-week pasta dish, appealing to adults and children. Use whatever seasonal vegetables you have, and of course use pine nuts if you like, but I prefer zinc-loaded (and cheaper) pumpkin seeds. I have not included cheese in the pesto (so maybe it isn’t really a pesto! ), as I like the idea of grating cheese over the finished dish, where you can really taste it. And apologies for the not very slick photos; I took the photos in a hurry on the way to a nutrition class. I like to make the pesto first as this allows time for the flavours to meld while I get on with the rest. For it just pop the garlic and the seeds into a food processor – if you have a choice of bowls use the medium one – whizzing for about 20 second, using the pulse button if you have one. Now add in the rocket and tarragon or basil (if using), lemon juice and a good pinch of salt; process until the green is pretty well blended but not a paste. Only now add in the oil – about 50 ml – and whiz for just a few seconds. 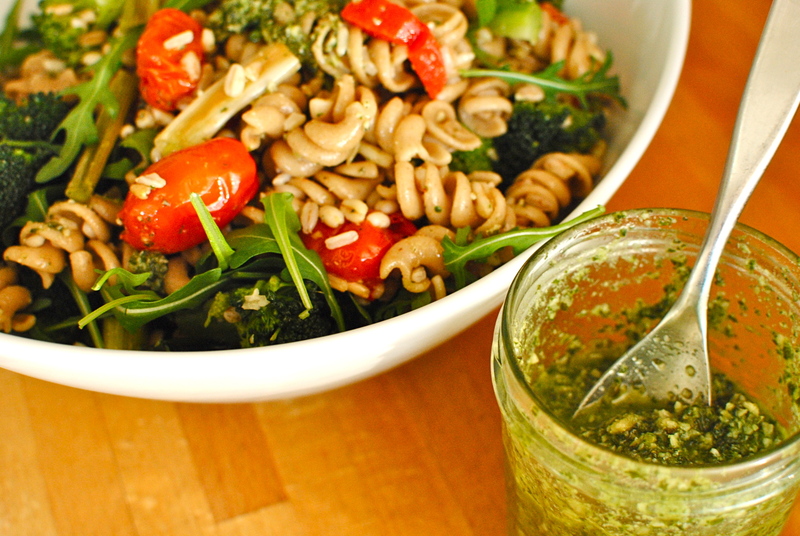 Taste the pesto and adjust the flavour if needed – maybe more lemon or more salt. If you won’t be using the pesto right away store in a glass jar, topping it with a good layer of oil to reduce oxidation and keep the pretty green colour. For the vegetables I like to lightly roast the tomatoes and spring onions at 180C/350F for 12-15 minutes, lightly steam the broccoli (for about two minutes), and use the pepper and olives as they are. Feel free to have all vegetables raw or lightly steamed. While the vegetables are in the oven boil up the pasta and/or grains until almost done, drain and rinse. To serve, mix the pesto (all or just some depending on how many portions you need) with the hot pasta and then fold in the vegetables along with extra rocket and some fresh basil leaves, if you like. Yummy served hot or room temperature. The pesto makes about 6 servings. It IS a sign! Make some for now and your freezer 😀 PS Tomatoey curries and tagines are high up in my list of good things to eat. I’m glad I got the balance right for you. Truthfully I can easily go overboard on the fibre because I love whole foods so much and sometimes have to ‘detox’ by eating low fibre for awhile. Not an intolerance, just greed! 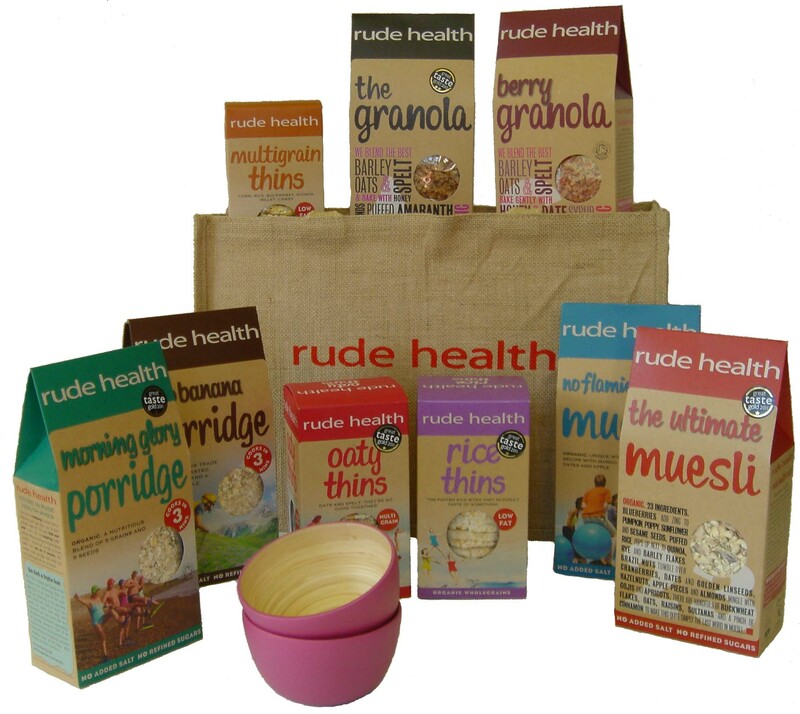 The Rude Health giveaway is fab – 23! 23 ingredients! 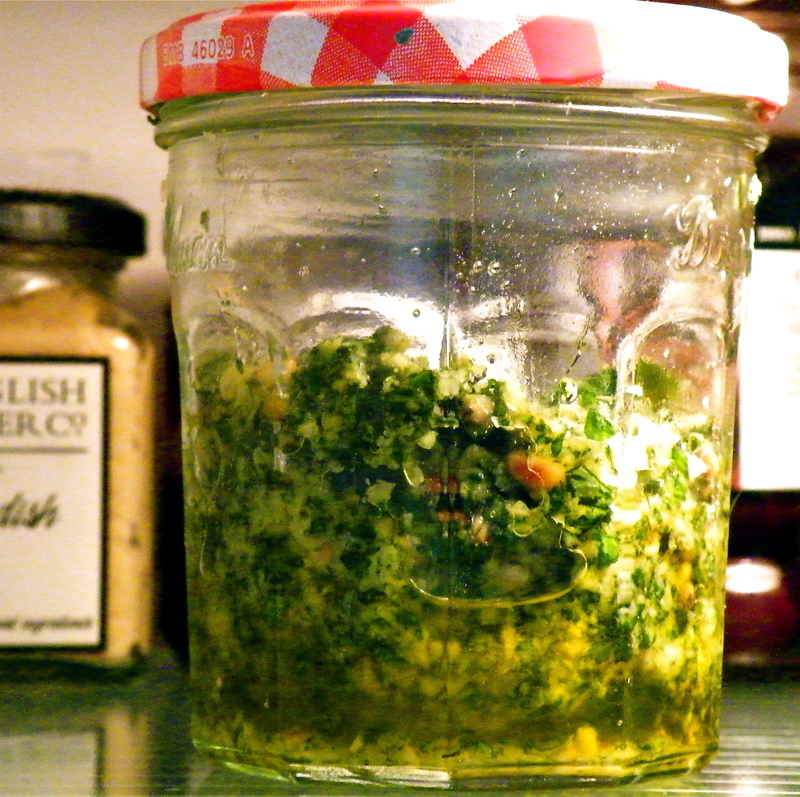 Thanks for the great giveaway and recipe, I do so love pesto, especially made with wild garlic at this time of year. Oh my goodness! That looks so good, my stomach is growling. Thanks Lori. Mine is too but it’s cos I’ve not had lunch. Bad girl, me! And for a giveaway entry, there are 23 ingredients in their muesli! Oooh, exciting, exciting! 23 ingredients! They have a nice website, I enjoyed looking through it, especially the wee ranting man! My mouth is watering at the site of your pesto…….and its only breakfast time…..mmmm, I’m thinking spread on toast with a poached egg……..I need to make some for the weekend, yum! For an entry to the giveaway (which also looks amazing!) there are 23 ingredients! Hello 23 for my entry. 23 ingredients and crossing my fingers 🙂 thanks for sharing the wonderful recipe and giveaway!